A spa day in Argyll and Bute would bring you to a beautiful area of Scotland with wonderful views as far as the eye can see. With many sights to see, and places to visit, you may struggle to get the attractions and your spa day crammed into one day. If you’re planning on doing a bit of sightseeing before you enter the relaxation area of your chosen venue, then you will have plenty to choose form. If you’re intent on just using the spa for the day to get away from a busy lifestyle and relax then you have a few options. When have three venues in the area which offer great spa day deals in Scotland. All three are form the same hotel group which is called the Crerar group and has long been established as a superb company for breaks in and around Scotland. 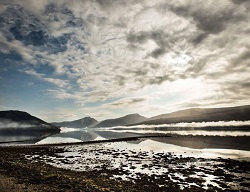 The Loch Fyne Hotel & Spa and Oban Bay Hotel & Spa offer great value spa day packages on the main land. If you fancy exploring he area via a boat ride then have a look at the Isle of Mull Hotel & Spa, just a short boat ride form the main land this venue gives you a relaxing bliss away from the stresses of regular life.